Its THURSDAY! this week has just flown by for me. I have been enjoying moving into my apartment, spending time with my new roomie and exploring our new neighborhood. We got ice cream at Purple Door last night and it was amazing!! My roomie can't have diary but they had a chocolate sorbet that was like straight fudge…delicious. There are so many fun places we have been discovering, mainly restaurants and wine bars that have peaked my interest! I am heading to Chicago this weekend for one last trip before Dave moves to Washington DC. I don't think I had announced it on the blog yet but Dave has decided to transfer schools. Georgetown is an amazing school and he will get to put that big brain to even better use. I am SO crazy proud of him. We also will get to explore a new city together, new restauants, so many new museums…just a new lifestyle! I will still be living and working in Milwaukee and fly out to DC monthly to spend time with my love. Thank you Southwest for the direct flight to DC! I named this blog Love Your Fate because it was a quote that always just resonated with me. I have decided to embrace everything this life is throwing at me, and not just embrace it but whole heartedly diving in and seeing the good in each situation. DC will be a longer distance for us but that is the only hurdle to jump….because at the end of the track I see an adventure and there is nobody else on this earth I would rather do it with! Blog posts may be a bit spotty for the next week. I just moved into my new apartment and we still don't have internet! Ill post pictures of the apartment soon, its so cute! I love wearing all black, it makes me feel so put together and it always a great go to when you don't know what to wear. 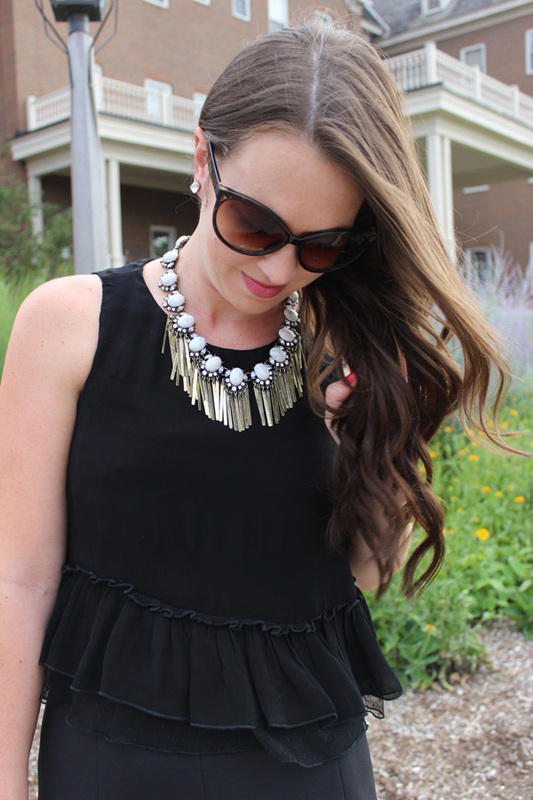 I think that this top is a great little black top to have on hand in your closet. 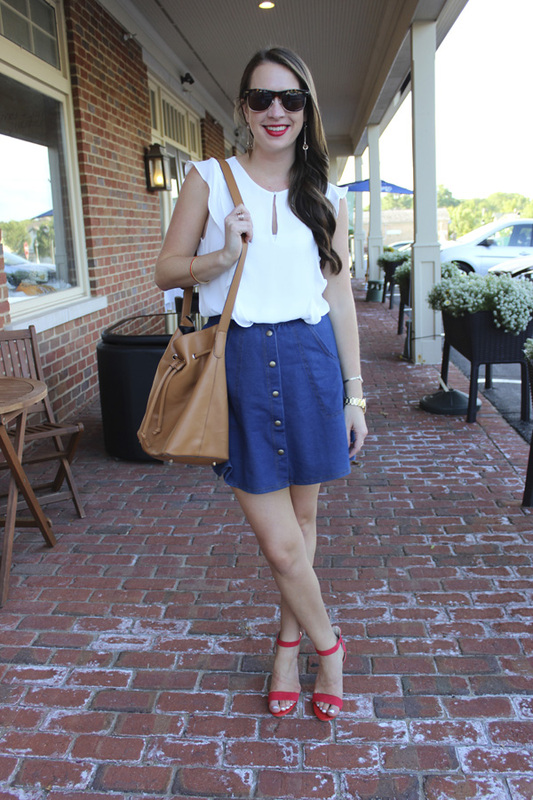 I love it with this skirt that I have told you guys about before, but I will also love it paired with high waisted dark denim and sky high heels for the weekend! I will also be pairing it with my fave red lip! I am all moved into my new apartment!! It was so fun setting everything up and decorating but I am exhausted. Dave was there to help me move in which helped things move smoothly. He is moving to DC in a week so he is apartment hunting himself as well! We are transitioning from our Miluwakee to Chicago every weekend life to a Milwaukee to DC every couple weeks type of life. If anyone has any restaurant suggestions in DC please let me know!! 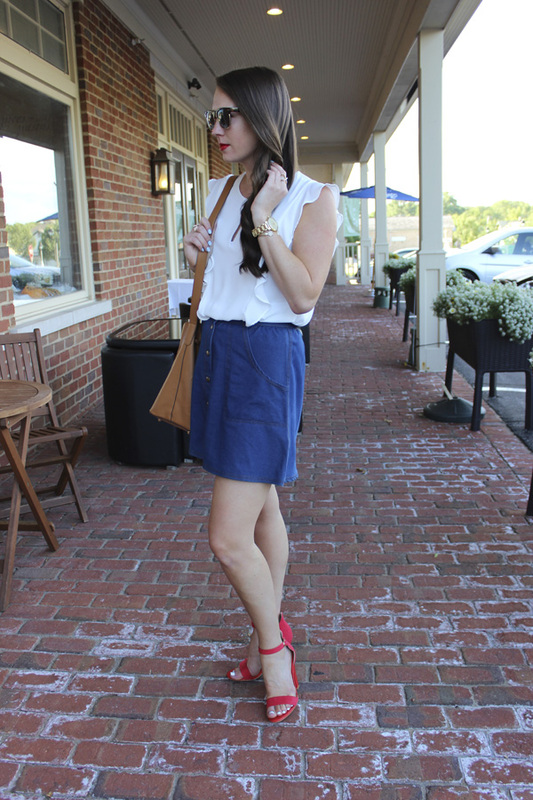 About this skirt though...I AM OBSESSED. 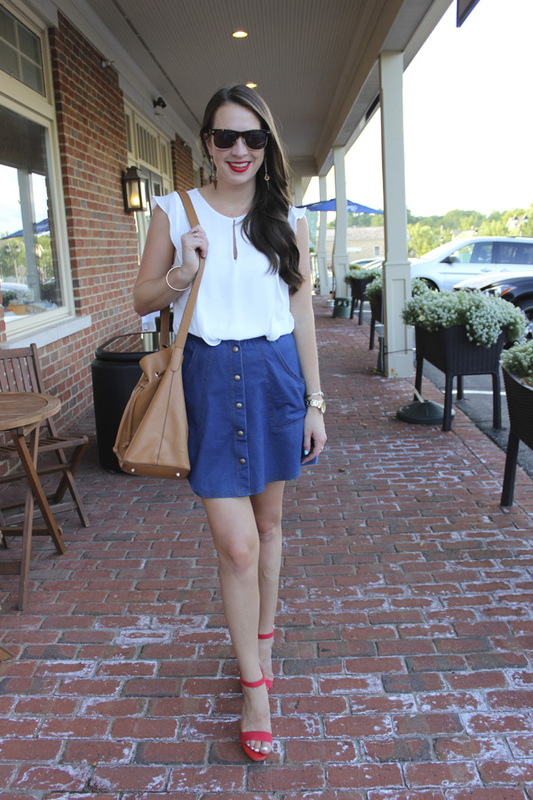 Denim skirts are making a major comeback and if you don't own one yet, I suggest you get this one! Its not actually denim and it is so so soft! YAY! It's Friday! I am moving into my new apartment this weekend and I am so excited!!! Follow along on snap chat; cait christy! I have the worst cold ever right now and I have literally hardly packed one thing. I have been coming home from work so exhausted. Taking lots of emergenC today to help me prepare for the weekend!! I love this romper because it is so different, it's defnitely a statement piece and would be so fun to wear for a night out! 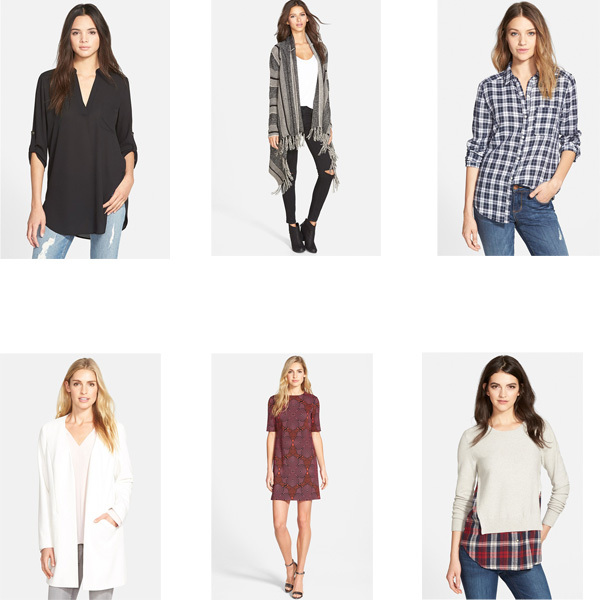 The Nordstrom Anniversary Sale is open to the public now!! I have shared some item's I have purchased as well as items I just love! I am so excited to share with you this dress because I absolutely love it! 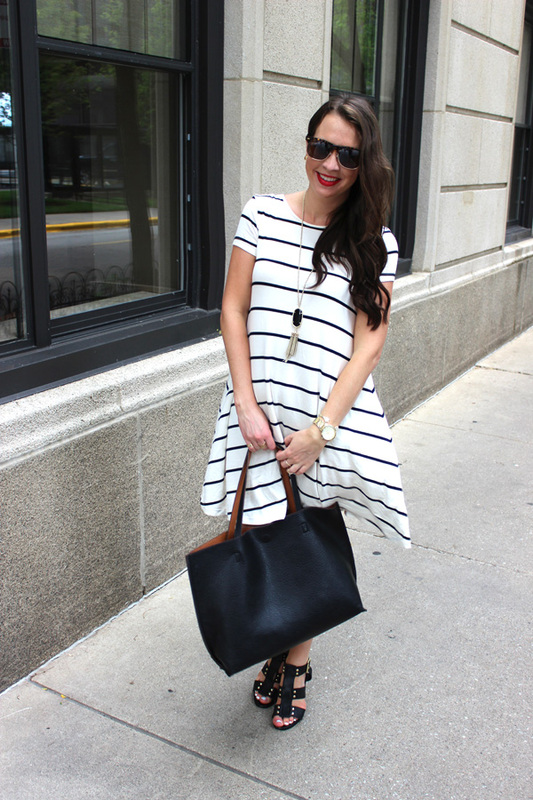 It is so soft and comfy, the swing dress is so flattering, and the stripes are just adorable. I could live in this dress for the rest of the summer. 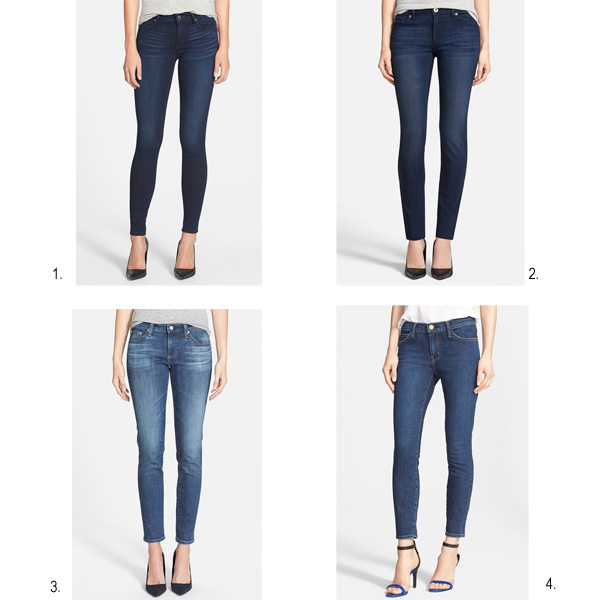 I definitely just purchased it in black as well because it's 25% off today from +Old Navy ! You could dress it down with some perforated leather loafers (I love these & these) for another super cute look! Hope you all are having a fabulous week, it's already Wednesday!!! woohoo!! I wore this romper this weekend in Chicago and it was absolutely the perfect thing. Dave and I ran up and down Michigan Ave getting some shopping done and also getting lunch at one of my favorite spots. I am obsessed with these shoes that Dave got at the +Nordstrom Anniversary sale. 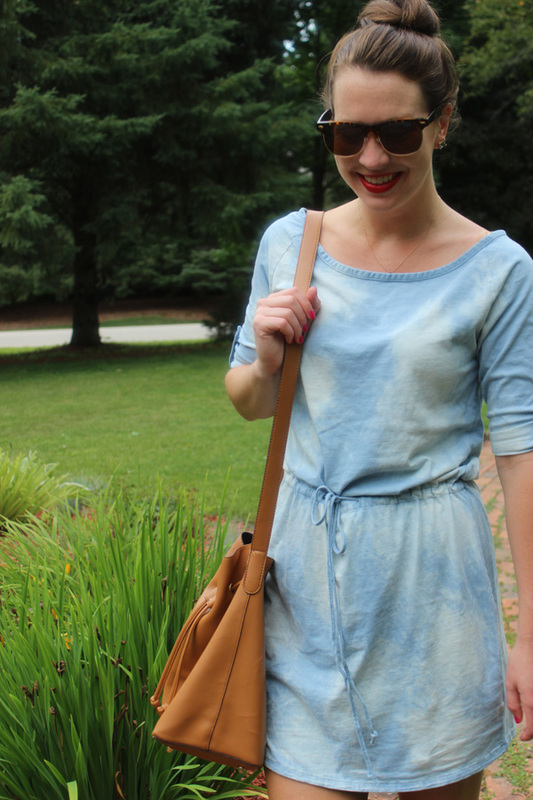 I love rompers for summer because they are the perfect for the heat but still allow you to run around and have fun. 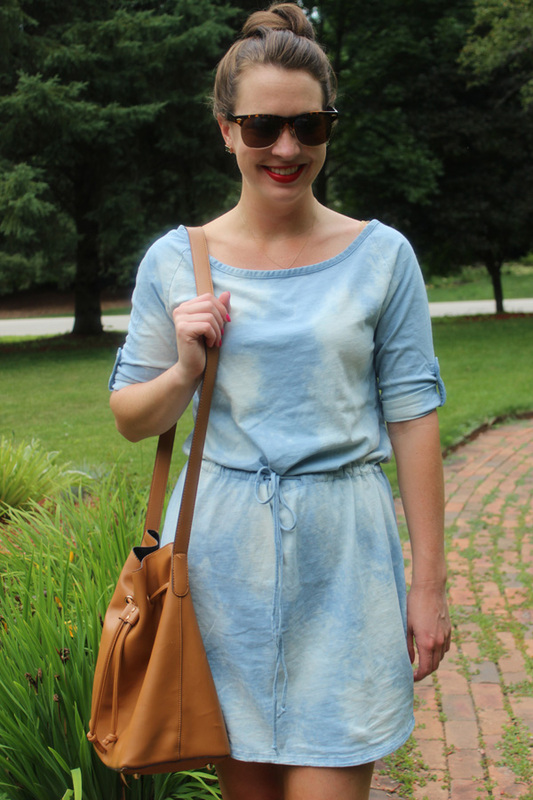 I've linked up SO SO many adorable rompers here for you. I seriously couldn't stop. I am obsessed with so many! I am starting this week super motivated and ready to take on the world. :) :) I attended Simply Stylist this weekend which is a blogging/fashion/beauty conference that allows you to network with others in the business. Catt Sadler from E-news hosted and I met some pretty fabulous blogging ladies. I love seeing smart women come together going for their dreams and making things happen. It's pretty amazing. I wore this super cute two piece set and DID NOT want to take it off. I love wearing all white, it is so classic and crisp! You can also change the look so much depending on how you accessorize. I chose to stay with gold accessories and a classic red lip. Hope you all had a fabulous weekend and are ready to take this week by storm! 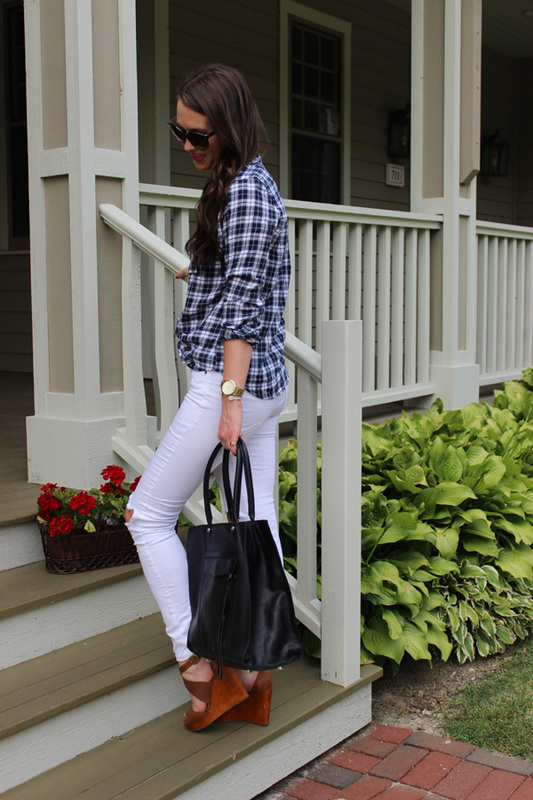 I am heading to Chicago for the Simply Stylist Conference this weekend and have been so crazy busy packing! 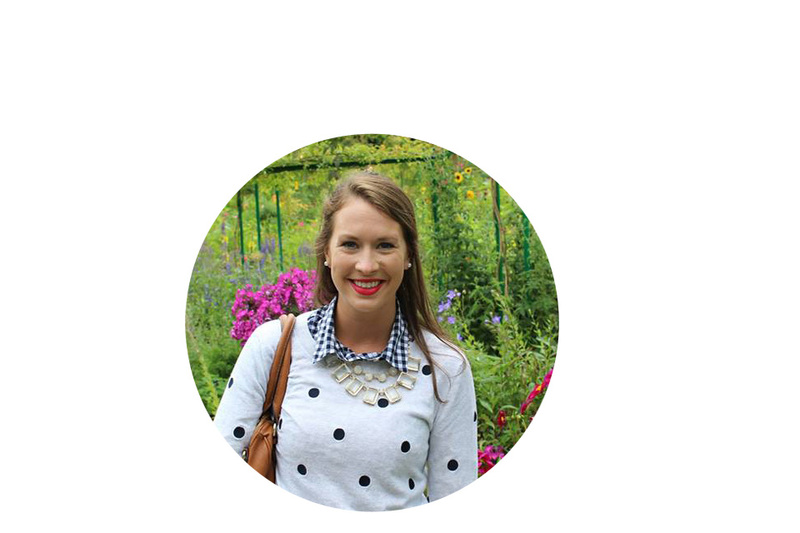 Follow me on snapchat @ Cait Christy to follow along for the day! 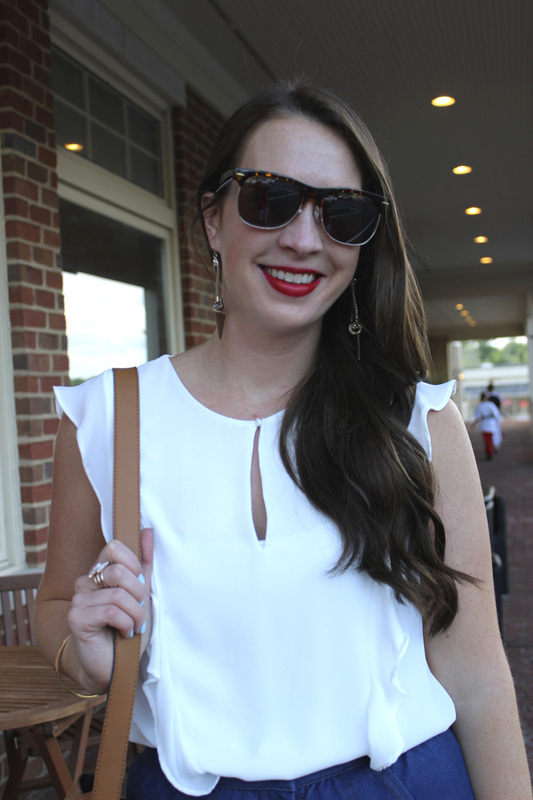 Im wearing the cutest white number, It will be on the blog monday so stay tuned. 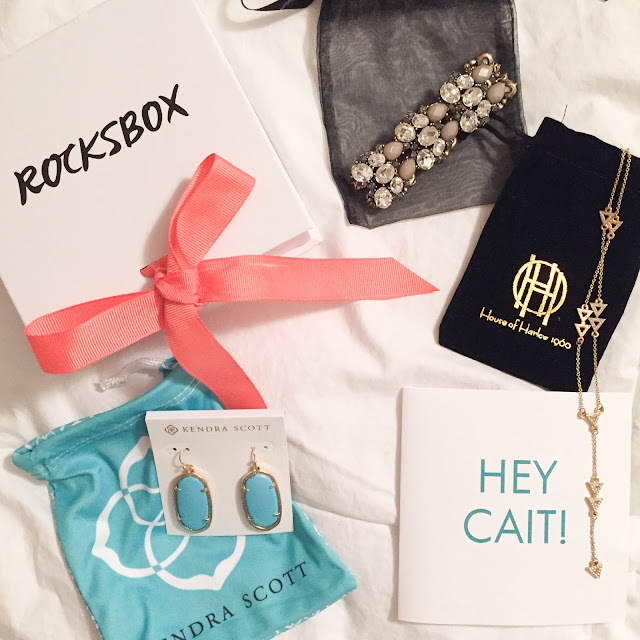 I have packed my +Rocksbox from this month for the trip and I am obsessed with all the goodies they have sent me. This is definitely my favorite subscription that I receive!! You get three amazing pieces of jewelry every month from brands like House of Harlow and Kendra Scott. You then have the option to either send the items back or to purchase the items you have fallen in love with. AMAZING. You also get $10 in "shine spend" every month so you end up getting these designer jewels at a really great price. I am fan girling for sure, because I seriously look forward to this box in my mail more than anything else. It's amazing to have an ever rotating jewelry closet. 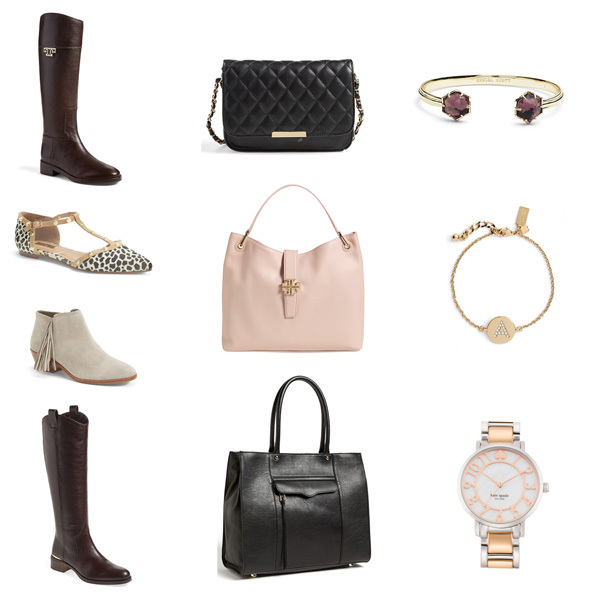 Head to www.rocksbox.com to take your style survey and make your wishlist! Plus don't forget to use my code "loveyourfatexoxo" for a free month!!! I got these pictures just before some major storms rolled in. It was so humid my camera would not stop fogging up. 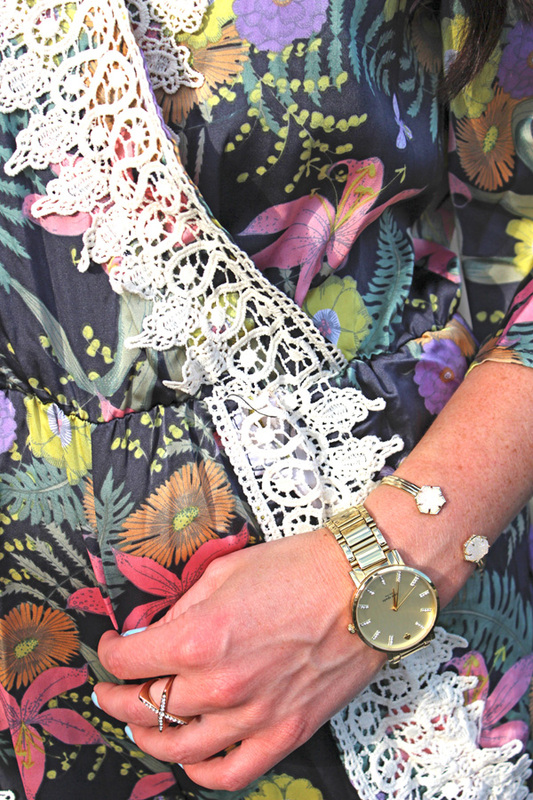 I apologize for the lack of quality pictures, but I had to get this dress up on the blog. It is my go-to for running errands or hanging out around the house. It is so comfy and soft and I love the way it was dyed. Throw a top knot up and the complete the look!